Complies with Freescale standard 14 pin JTAG development port and a host PC 25pin LPT / Parallel printer port. Applied to interface a host PC operating Codewarrior or similar compatible software tool to the 56F8xx(x) target board that has a standard JTAG development port. 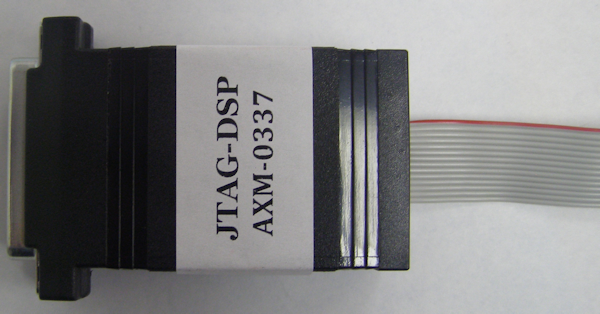 JTAG pod has a 6 inch ribbon connector for connection to the target JTAG port. Supplied with a 6 foot 25 pin host connection cable.